Simplicity means that without diplomacy one should be so straightforward that he can disclose the real truth even to an enemy. As for acceptance of the spiritual master, that is essential, because without the instruction of a bona fide spiritual master, one cannot progress in the spiritual science. One should approach the spiritual master with all humility and offer him all services so that he will be pleased to bestow his blessings upon the disciple. Because a bona fide spiritual master is a representative of Kṛṣṇa, if he bestows any blessings upon his disciple, that will make the disciple immediately advanced without the disciple’s following the regulated principles. Or, the regulated principles will be easier for one who has served the spiritual master without reservation. False ego means accepting this body as oneself. When one understands that he is not his body and is spirit soul, that is real ego. Ego is there. False ego is condemned, but not real ego. 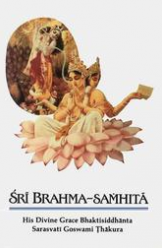 In the Vedic literature, it is said: ahaṁ brahmāsmi. I am Brahman, I am spirit. This “I am,” the sense of self, also exists in the liberated stage of self-realization. This sense of “I am” is ego, but when the sense of “I am” is applied to this false body, it is false ego. When the sense of self is applied to reality, that is real ego. There are some philosophers who say we should give up our ego, but we cannot give up our ego because ego means identity. We ought, of course, to give up the false identification with the body. One should try to understand the distress of accepting birth, death, old age and disease. There are descriptions in various Vedic literatures of birth. In the Śrīmad-Bhāgavatam the world of the unborn, the child’s stay in the womb of the mother, its suffering, etc., are all very graphically described. It should be thoroughly understood that birth is distressful. Because we forget how much distress we have suffered within the womb of the mother, we do not make any solution to the repetition of birth and death. Similarly at the time of death, there are all kinds of sufferings, and they are also mentioned in the authoritative scriptures. These should be discussed. And as far as disease and old age are concerned, everyone gets practical experience. No one wants to be diseased, and no one wants to become old, but there is no avoiding these. Unless we have a pessimistic view of this material life, considering the distresses of birth, death, old age and disease, there is no impetus for our making advancement in spiritual life. As for detachment from children, wife and home, it is not meant that one should have no feeling for these. They are natural objects of affection, but when they are not favorable to spiritual progress, then one should not be attached to them. The best process for making the home pleasant is Kṛṣṇa consciousness. If one is in full Kṛṣṇa consciousness, he can make his home very happy because this process of Kṛṣṇa consciousness is very easy. One need only chant Hare Kṛṣṇa, Hare Kṛṣṇa, Kṛṣṇa Kṛṣṇa, Hare Hare/Hare Rāma, Hare Rāma, Rāma Rāma, Hare Hare, accept the remnants of foodstuffs offered to Kṛṣṇa, have some discussion on books like Bhagavad-gītā and Śrīmad-Bhāgavatam, and engage oneself in Deity worship. These four will make one happy. One should train the members of his family in this way. The family members can sit down morning and evening and chant together Hare Kṛṣṇa, Hare Kṛṣṇa, Kṛṣṇa Kṛṣṇa, Hare Hare/Hare Rāma, Hare Rāma, Rāma Rāma, Hare Hare. If one can mold his family life in this way to develop Kṛṣṇa consciousness, following these four principles, then there is no need to change from family life to renounced life. But if it is not congenial, not favorable for spiritual advancement, then family life should be abandoned. 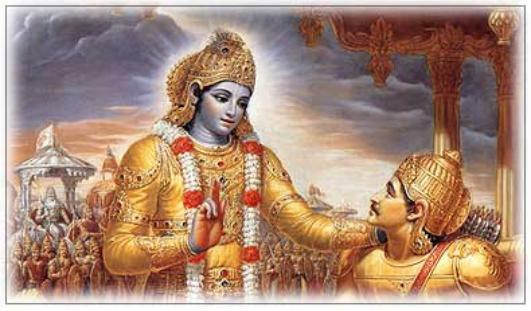 One must sacrifice everything to realize or serve Kṛṣṇa, just as Arjuna did. Arjuna did not want to kill his family members, but when he understood that these family members were impediments to his Kṛṣṇa realization, he accepted the instruction of Kṛṣṇa and fought and killed them. In all cases, one should be detached from the happiness and distress of family life because in this world one can never be fully happy or fully miserable. Happiness and distress are concommitant factors of material life. One should learn to tolerate, as advised in Bhagavad-gītā. One can never restrict the coming and going of happiness and distress, so one should be detached from the materialistic way of life and be automatically equiposed in both cases. Generally, when we get something desirable, we are very happy, and when we get something undesirable, we are distressed. But if we are actually in the spiritual position, these things will not agitate us. To reach that stage, we have to practice unbreakable devotional service; devotional service to Kṛṣṇa without deviation means engaging oneself in the nine processes of devotional service, chanting, hearing, worshiping, offering respect, etc., as described in the last verse of the Ninth Chapter. That process should be followed. Naturally, when one is adapted to the spiritual way of life, he will not want to mix with materialistic men. That would go against his grain. One may test himself by seeing how far he is inclined to live in a solitary place without unwanted association. In the Śrīmad-Bhāgavatam, this is explained; vadanti tat tattva-vidas tattvaṁ yaj jñānam advayam. “Those who are actually knowers of the Absolute Truth know that the Self is realized in three different phases as Brahman, Paramātmā and Bhagavān.” (Bhāg. 1.2.11) Bhagavān is the last word in the realization of the Absolute Truth; therefore one should reach up to that platform of understanding the Supreme Personality of Godhead and thus engage in the devotional service of the Lord. That is perfection of knowledge. Beginning from practicing humility up to the point of realization of the Supreme Truth, the Absolute Personality of Godhead, this process is just like a staircase beginning from the ground floor up to the top floor. Now on this staircase there are so many people who have reached the first floor, the second or third floor, etc., but unless one reaches the top floor, which is the understanding of Kṛṣṇa, he is at a lower stage of knowledge. If anyone wants to compete with God and at the same time make advancement in spiritual knowledge, he will be frustrated. It is clearly stated that without humility understanding is harmful. To think oneself God is most puffed up. Although the living entity is always being kicked by the stringent laws of material nature, still he thinks, “I am God” because of ignorance. One should be humble and know that he is subordinate to the Supreme Lord. Due to rebellion against the Supreme Lord, one becomes subordinate to material nature. One must know and be convinced of this truth.